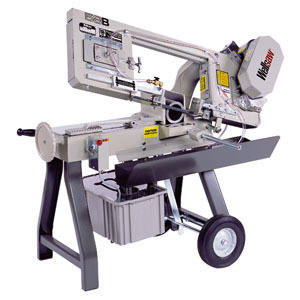 When you need to move your saw around your shop or job site, a portable bandsaw is the option for you! All of these saws can be carried by hand, or moved around by utilizing the heavy duty wheels attached to the saw. Accurate, well-built, and portable–the most versatile option for the contractor or fabricator.